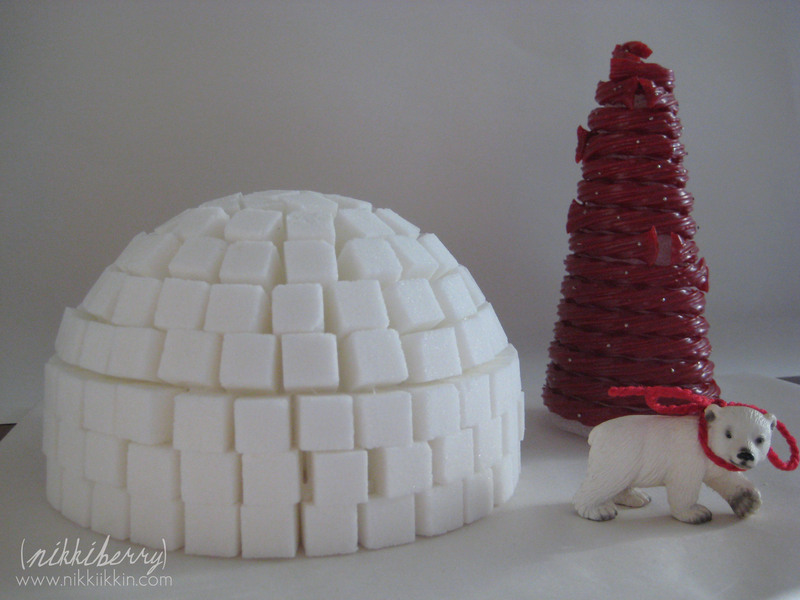 We have a few holiday craft traditions and this spectacular sugar cube igloo is one of them. Its so easy to make and will last for years if you take care of it. I first saw this igloo in an Anthropologie store, they have the most creative displays of course but this one was practical enough to copy at home. Instead of trying to stack up and create an igloo form like a real Eskimo, use half of styrofoam ball as the base. Then its simple to glue on the sugar cubes with Elmers craft glue. 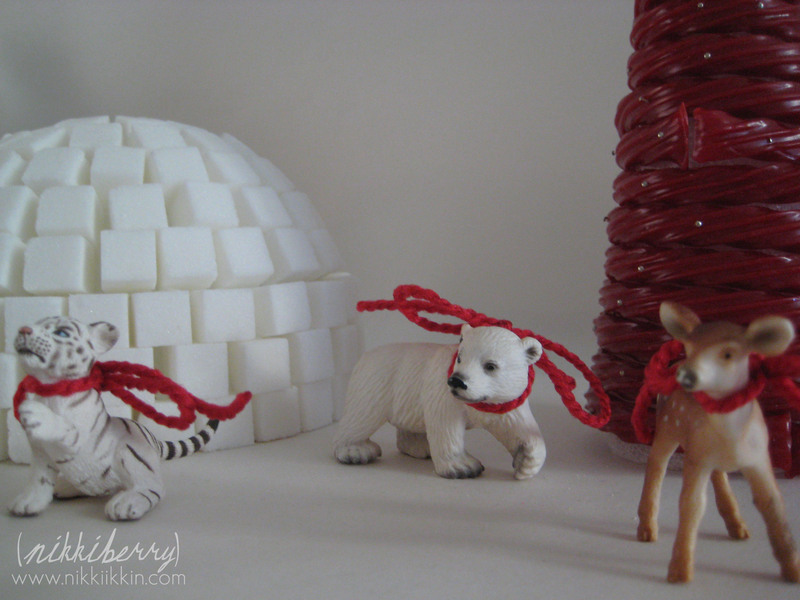 We styled our igloo display with Schleich animals dressed for the holidays with red string bows and a red liquorice tree that I made in using a styrofoam cone as well.